Transfection is the process of delivery foreign DNA into the nucleus of cells. Plasmid DNA, siRNA, mRNA, oligonucleotides, or even Proteins such as Antibodies, may be transfected. 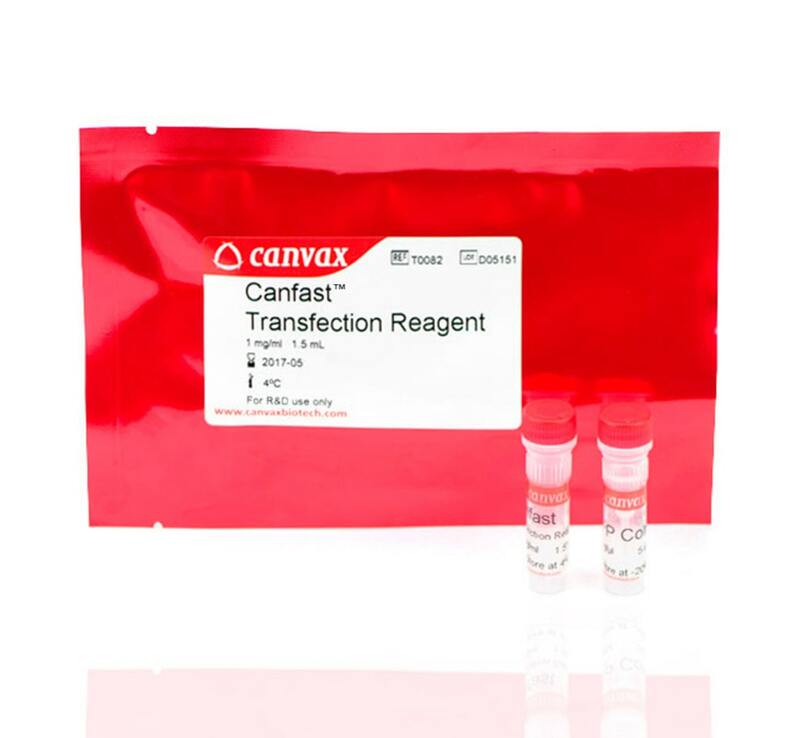 Inside Transfection, Canvax™ offers CANFAST™ Transfection Reagent. It is a new generation of Cationic Polymer with relevant advantages critical for efficient Transfection, such as DNA condensation and endosomal release, which improves gene Transfection Efficiency, delivering a higher stability, reproducibility and resistance, cost-reduction or easy-to-work with. CANFAST™ is widely used for both Primary Cell and established Cell Lines with minimal Cytotoxicity and optimal Transfection Efficiency. It is suitable for transfecting Human Cells as 293-HEK, BOSC 23 and HepG2, Mouse Cells as NIH3T3, P815, B16F10, Rat Cells as RBL2H3, PC12, and Hamster Cells as CHO-K1. 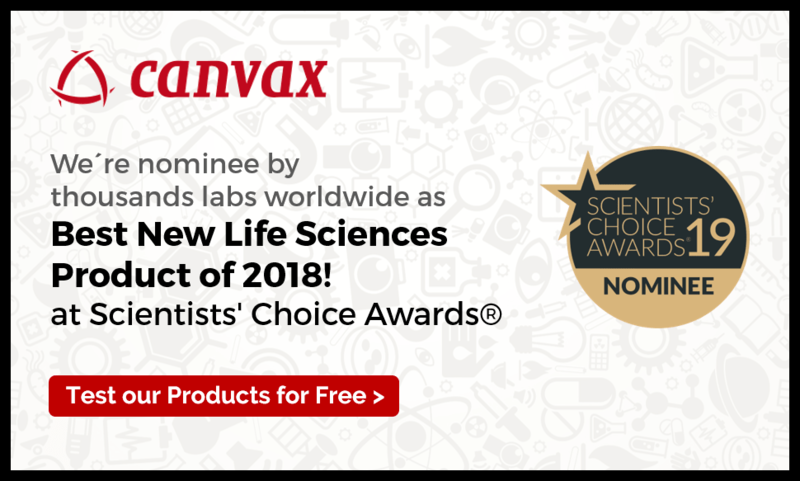 If you have any doubts, please use our Tools below to choose the right Transfection Reagent to ensure the success of your important research.